Mr. Munawar Iqbal was appointed as Project Manager(hydel) in the Private Power and Infrastructure Board, Ministry of Water and Power in August 2004. Professionally he is a Civil Engineer. He did his Bachelors of Engineering (Civil) from University of Engineering and Technology (UET) Lahore in early 1990 and M.Sc. (Hydropower Engineering) from Center of Excellence in Water Resources Engineering- UET Lahore. Besides the qualification in engineering studies, he has excellent knowledge in computer literacy. He possesses diplomas in various computer languages and packages like C++, Java, RoadCalc, AutoCAD, Primavera etc. He has gone through various trainings/courses in Management, Finance, Hydropower and Computers. 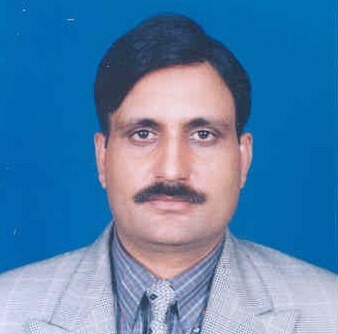 He has diversified experience of round 20 years, of supervising the construction of big industrial units specifically Cement and Power sector projects and of providing consultancy services to national and international firms/organizations in Hydropower sector particularly with German Technical Cooperation (GTZ) and WAPDA.